Hi all! I can't believe it's Tuesday already- man the time just flies by! But there's an awesome thing about Tuesday's- it's time for a new challenge over at Tiddly Inks :) This time we're looking for projects showcasing some 'Summer Sun'- basically just break out those summer papers, images and/or colors and come play along! 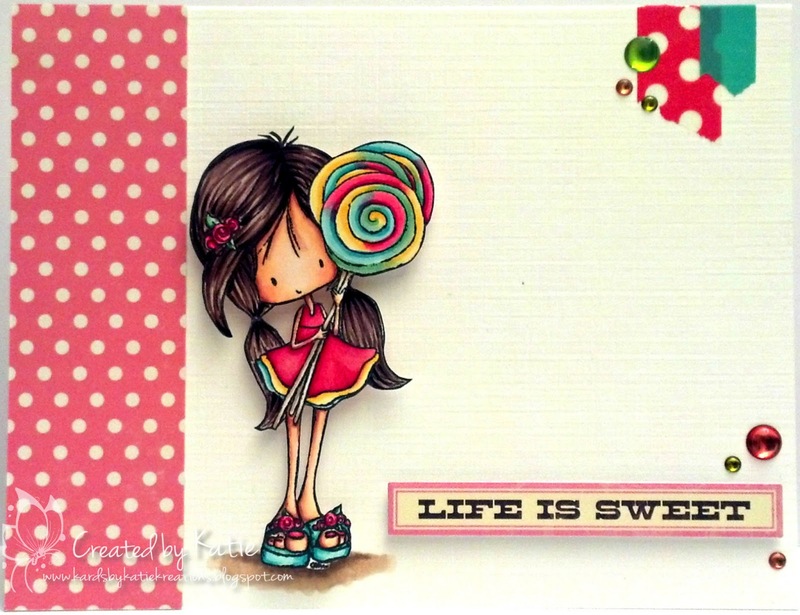 I've used the Sweets for My Sweet clear stamp set for my card and used some bright and summery colors on my clean and simple card. I'm getting more comfortable with this style the more I stretch myself to use it and I'm pretty happy with how this turned out :) I sure hope that you'll stop by the blog and check out the other wonderful summer cards that my teamies put together. And thanks as always for stopping by to pay me a visit! ooooh now I totally have the summer feeling!! what an awesome make hunny! love it! And your card is sweet too Katie! Ooo, I love these three colors together, so Summer-y! Super cute!! This is so so sweeeet!! I love your coloring! Great design too! 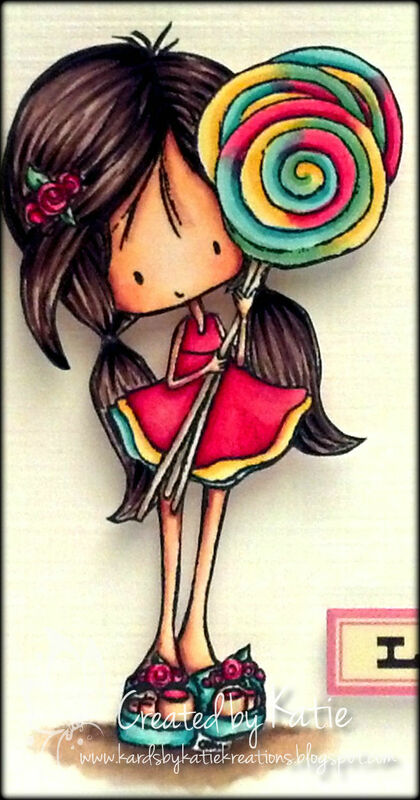 A sweet card with a sweet image and a sweet sentiment! I love it! Super cute. Your card is adorable and your colouring amazing.